Description: The roots of certain trees are able to break rocks over time. 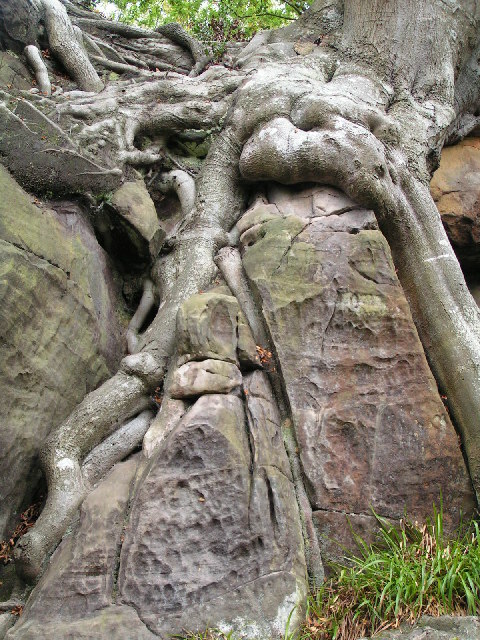 This is one type of biological weathering that can be seen around the world. Rocks can also be broken down by bacteria, algae, lichen, and small animals. Weathering of a sidewalk or the headstones in a cemetery are great places to find this phenomenon.